A Credit Report That is Really Free! Usually, when you get a “free” credit report, you have to enter a credit card. Then, if you forget to cancel your “service” you get billed after the “free” month. One minor glitch, however — it isn’t really your “offical” FICO score. They arrive at their figure a different way, and it’s an estimate. 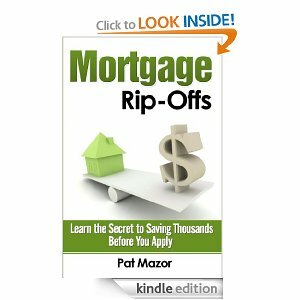 However, it’s pretty close, and their score will tell you things like whether your real FICO score is going to be in the ballpark for qualifying for a decent rate on a mortgage. And unlike a real credit check, it won’t affect your credit rating at all (they do what is called a “soft inquiry”). As an added bonus (it’s all free, mind you), you can use their “what if” simulator to see how much impact certain transactions might have on your real FICO score. The downside? Well, they get your email address, and you get on an email list (surely you anticipate this sort of thing these days!). Then, when you use their site, you get shown ads. But one really neat thing about that is that the default response is always “no.” Of course, you can use a “throwaway” email address to sign up, but I think the site is useful enough to tolerate the ads. The site is called Credit Karma. Try it out!